Virtual Reality. That’s what VR stands for. Hopefully, you didn’t run off and google that before starting to read this article. 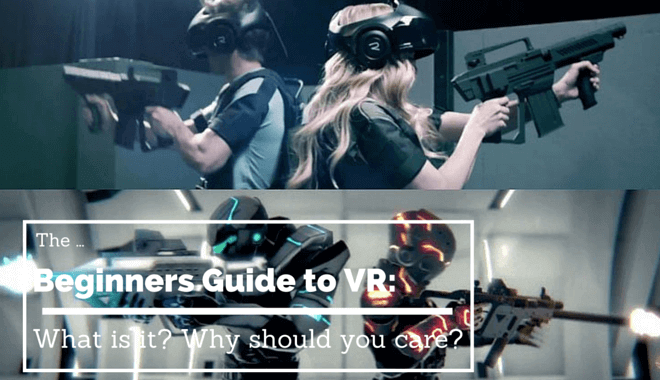 Well, whether you wasted your time or not, now you know what VR means (if you didn’t already). Ok, enough of this pandering. VR! Now we’re talking! What is it really? Why does that matter? Why should you care? VR is different than a virtual world. Something like Elder Scrolls Online, or World of Warcraft, or Minecraft, those are virtual worlds. You can interact with other players, you can trade, buy, and sell with other players, and “raid” (or mine) with other players. In the virtual world of Minecraft, a Norwegian company built an office on a private server. This company actually meets with clients, in-game, to discuss business propositions. Bizarre and awesome. But, those are examples of virtual worlds, not virtual reality. Virtual Reality takes things a step further. It is the experience of rendering yourself into that world. It would be like if you, all of a sudden, stood in place of your character in Minecraft. When playing normally, you can use your controller to spin your avatar around and see the world around you. For virtual reality, the idea is that you, as in you physically, you as a human, would take the place of your character. You put a special design VR headset over your eyes, and as you look around, you see the parts of the world rendered around you. You look down, you see the ground. You look to the left, you see to the left in the Minecraft world, same thing when you look up and when you look to the right. It was easy to use Minecraft as an example, but Minecraft hasn’t been translated into the world of VR just yet. Let’s take a look at what’s actually happening content-wise. Steam, as they endeavor to tweak their headset to perfection, has come up with some games you can actually play in a virtual reality. One of them involves exploring an old shipwreck on the ocean floor, another involves being on top of a snowy mountain peak. We all hope that VR will end up as a really cool way for game developers to create groundbreaking new games. For right now at least, we are seeing some experimentation with immersion. Steam is playing with simulating these once in a lifetime experiences. All of a sudden unobtainable experiences are (virtually) attainable. What about a game based on astronauts or an active satellite? Imagine feeling isolated in space, with nothing but night sky around you, no matter where you look. Or as steam has already toyed around with, the feeling of being deep in the ocean. Millions of people will never experience that in real life, but millions of gamers could have an experience that mimics it, virtually. In the same way that playing Rockband or Guitar Hero doesn’t make you a real musician, searching for booty on the virtual ocean floor doesn’t make you a treasure hunter or a deep sea diver. Still, people play those games! They’re fun! And for younger gamers, experiences like that aren’t even on their radar yet. What kind of learning opportunities could come from this? How much more fun would it be to learn about animals or plants by interacting with them in a virtual world as opposed to a hearing about them in a classroom? You don’t have to be an eight-year-old who loves learning to get excited about VR. As we’ve said, this could change the way many games are designed. Right now, VR is definitely a parallel piece to traditional gaming. It isn’t going to replace controller, on-screen gaming any time soon (if ever). There are a number of kinks that don’t make it a viable replacement. Motion sickness occurs in many players after a few hours of play. It’s good to take breaks while gaming, but getting dizzy every three or four hours isn’t a good motivator for play (and a subpar selling point). Plus, there are movement/travel issues. The scope of most game worlds span greater sizes than any room you’d play it in. So how do you adequately move around the world if you are required to physically move, when after three feet you’d bump into an obstacle? It’s these kinds of issues that will force developers to get creative with the technology, and that also ensure VR isn’t the omega of game design’s trajectory. For now, it will be a cool auxiliary piece of gaming equipment. It’s come a long way in the past two decades. With the big names behind it now, developing cool tech and interesting experimental games, the surface is just being scratched with virtual reality. Will VR suffer the same fate as the VCR? Only time will tell.